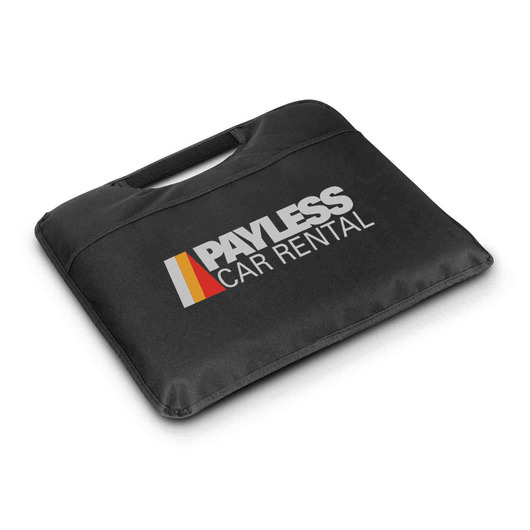 A stadium cushion that's easy to carry and has a large area for branding. Next time you're going to watch a game, take one of these along and you will thank us. Made with a comfortable foam padded cushion with a 600D polyester cover. They also come with a handy carry handle and an external pocket suitable for carrying a match program. Easy to carry, easy to use and a great surface for your decorated logo or branding message.